Radio Dada at TERRITORIOS DIGITALES 2009, Sevilla, Spain. 05/05/2011 -> 29/05/2011 - by Mistake Festival. Sevilla, Es. 11/04/2011 -> ../../2011 - File Games. Rio, Brazil. 08/04/2011 -> 05/06/2011 - New Psychadelia exhibition, Mu, Eindhoven, NL. Overload The 15 international artists in this exhibition are bringing mostly new works together. All works depict the experience of an overload of information and an excess of imagery. Here video works, sculptures, photographs and digital collages reference video games and retro rave culture, cheap science and totemic tribalism, trash technology and shamanism. 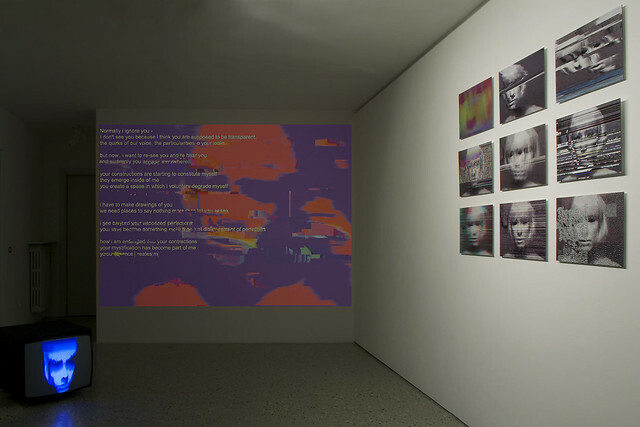 A number of works in the exhibition use found footage and dated digital effects, or methods which tweak and misuse technology to break down its structure. The aim is to create a sense of chaos and collapse, excess and avalanche. 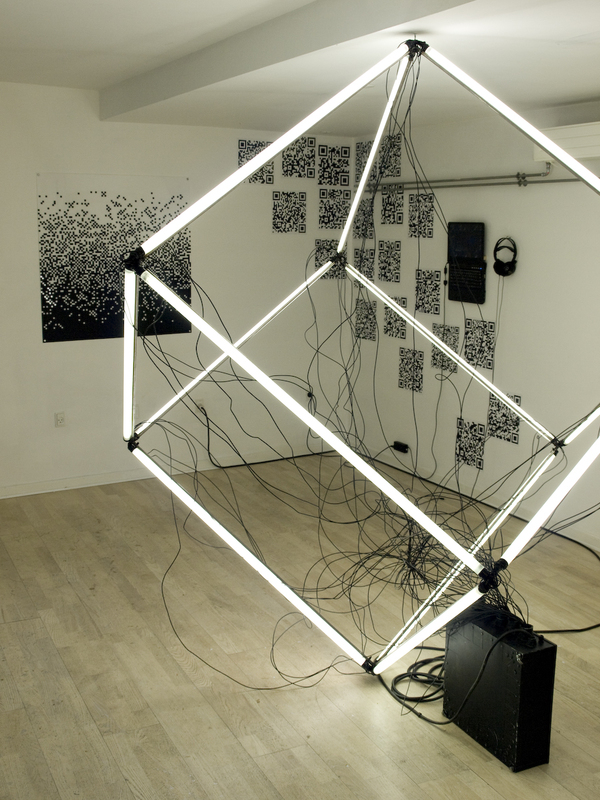 Together the pieces demonstrate the vitality of the internet as a focus for contemporary art. 25/02/2011 -> 01/04/2011 - Filtering Failure @ Planetart, Amst, NL. ▓▓Filtering Failure ▓▓▒▒▒▒ ▒▒ ▒▒ ░ ░ ░ In a culture that is continuously accelerating, filters have become a primal commodity. We use them both to open and to close ourselves to or from any kind of possible information. Filters are ubiquitous. However, we only realize their presence when we lack them or when they fail our expectations. On the other hand, modern digital cultures are inseparable from keywords like functionality, s...moothness, order and progress. Interaction designers, programmers and interface developers all work together to understand and execute these mantras. But to really understand these keywords, they have to be defined in relation to what they are not. A successful product designer does not design for the average customer, but instead for the marginal, extreme customer; because when taking the margins as the rule, the middle will take care of itself. ! This is why studying the qualities of disfunction, irregularities, breaks, disorder, damage or even demolition are as important in the development of a new technological product as the researching of its perfect flows and this is also one of the reasons why I think it is important to study failure. The concepts of perfection and failure are a tradeoff of each other. If we want to understand and pursue perfection - we can find this in the pursuit of failure. 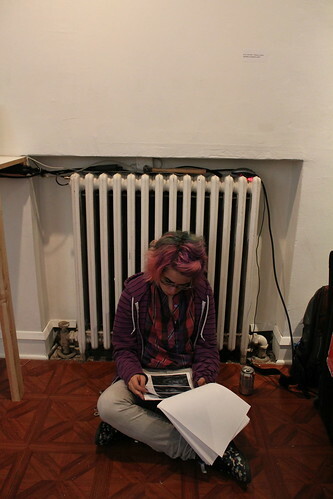 21-01->1-03-'11 – Getting Closer Fe Arts Gallery, Pittsburgh, PA.
What is the shape of intimacy in the digital age? What are its values? What does it mean to connect? Getting Closer brings together digital artists working with cutting edge technologies who address connection across physical and metaphorical distances by producing new ways of initiating and exploring intimacy. 15-01->25-02-'11 – Solo exhibition at Fabio Paris Artgallery, Brescia, Italy. My exhibition ‘The Tipping Point of Failure’ is about the role of failure in my different phases of glitch art. In my first practical glitch-art I passively framed accidental glitches; the monumental failures of the computer. I collected glitches that resulted from active tinkering and explored new ways in which I could exploit the computers failing draw-capabilities. I also moved along with re-programming and pre-programmed glitches. These first stages are marked by my fascination with hunting down a formal aesthetics of failure that was (or was not) based on technical crudeness; an impetuous glitching that slowly commodified the dynamics, the norms and values of what once was digital punk - although I did not (always) realize this. The work that symbolizes this development is The Vernacular of File Formats; A collection of 7 videos and 10 file format-images in which I actively demystify these most used glitch-effects. In this work I show that the tinkered-glitch has already been transformed into a filter and something that could even be called a commodity or paradigm - but the work also raises the question if this kind of glitching has actually always already been a ready-made commodity (instead of a new form..). My Videoscapes, Glitch Studies Manifesto and the Collapse of PAL show the changing role (or tipping point) of failure in my work. In these works or ‘other’ phase of my glitch-art I am trying to make more conceptualized or narrative glitch-art. While failure sometimes still plays a role, the starting point of these works lies within the exploration of a concept, a call for studying glitch itself or even a narrative rather then failure itself. The exhibitions “the Tipping Point of Failure” does not only refer to the inception of glitch, but should thus also be understood as a critique to the one dimensional “Aesthetics of Failure” that glitch-art is so often aligned with. It is an ode to everything that can happen after the tipping point of failure - within the realm of pure, not yet described glitch-art. 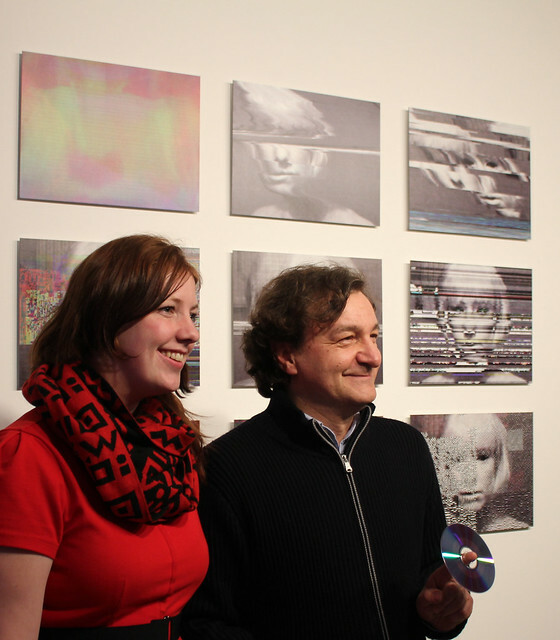 29-9-'10 – GLI.TC/H Gallery Show, Chicago, US. 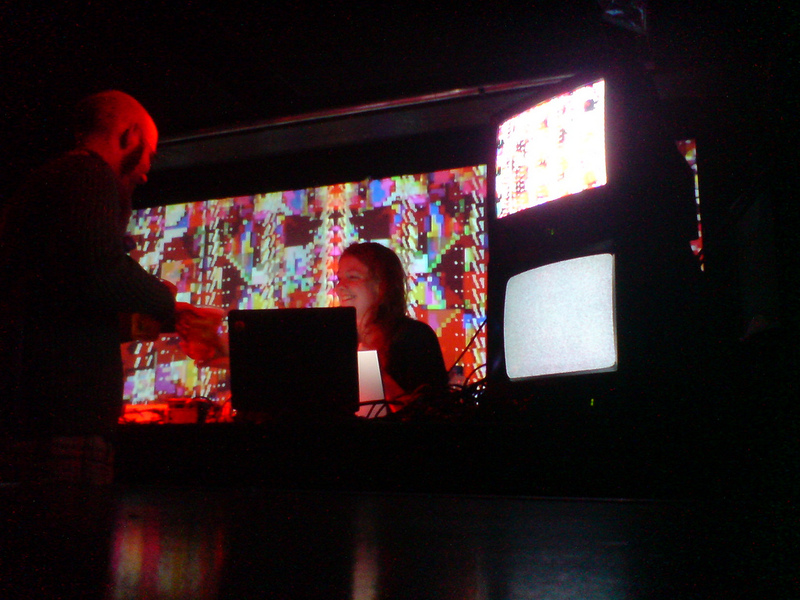 In september 2010 I co-orgnized and curated a festival called GLI.TC/H. It got very nice reviews on amongst others, Rhizome. GLI.TC/H is an international gathering of noise & new media practitioners in Chicago from September 29 thru October 03, 2010! GLI.TC/H features: realtime audio & video performances with artists who misuse and abuse hardware and software; run-time video screenings of corrupt data, decayed media, and destroyed files; workshops and skill-share-sessions highlighting the wrong way to use and build tools; a gallery show examining glitches as processes, systems, and objects; all in the context of ongoing dialogues that have been fostered by experimentation, research, and play. GLI.TC/H is a physical and virtual assembly which stands testament to the energy surrounding these conversations. Projects take the form of: artware, videos, games, films, tapes, code, interventions, prints, plugins, screen-captures, systems, websites, installations, texts, tools, lectures, essays, code, articles, & hypermedia. 23-07->28-08-'10 – Screening of Demolish the eerie ▼oid @ Axiom Center for New and Experimental Media in Jamaica Plain, Massachusetts. 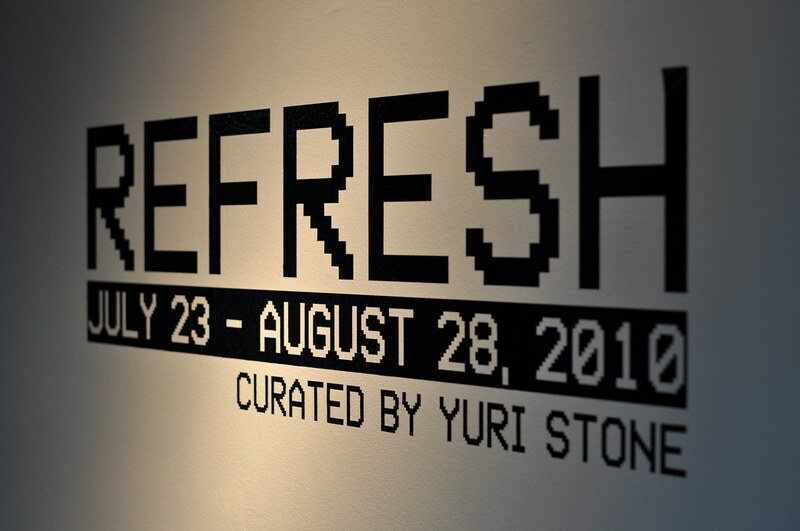 Axiom Center for New and Experimental Media is pleased to present Refresh, an exhibition of video and animation work that explores an alternative aesthetic in digital media artwork. Refresh features a group of artists that all ask the viewer to reevaluate our collective definition of digital beauty and the value we place on visual quality in contemporary culture. 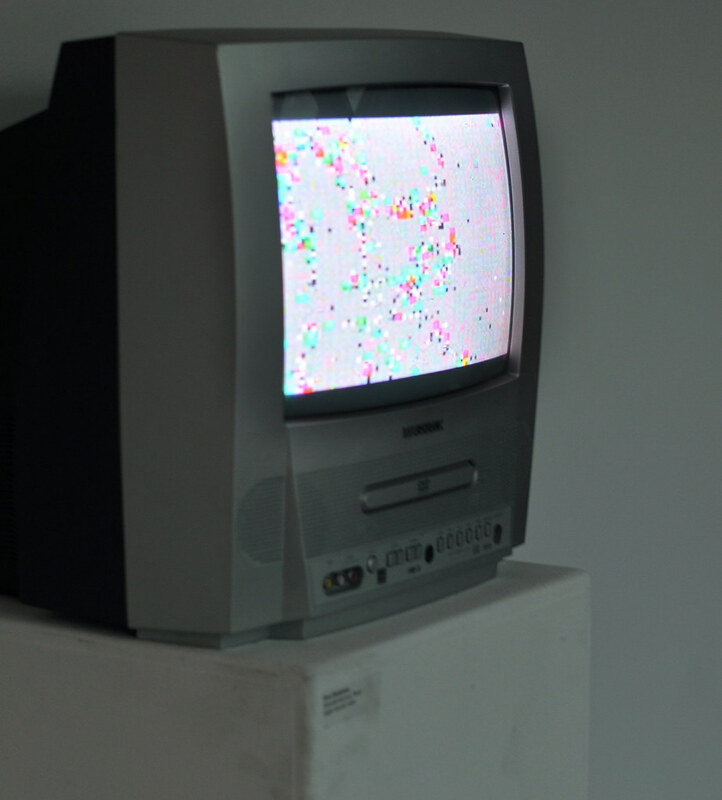 Spanning from 8bit and ascii animations to manipulated digital video, this exhibition creates an aesthetic and conceptual dialogue that allows us to question conventions of digital media in our society as well as our relationship to new and past technology. The artists included in this exhibition evoke notions of nostalgia, document unintended artifacts, and experiment with new technologies. In doing so, these artists create a refreshingly alternative digital practice that functions outside of the mainstream aesthetic. Artists in the show include: Nick Briz, Michelle Ceja, Clint Ennis, Elna Frederick, Doug Goodwin and Rebecca Baron, Duncan Malashock, Rosa Menkman, Andrew Rosinski, and Nicolas Sassoon. This exhibition is curated by Yuri Stone. 1-07-'10 -> 15-08-'10 – TBA in Nova Rojo ®NOVA exhibition, Museu da Imagem e do Som, São Paulo, Brasil. ®NOVA is an interactive, full-environmental experience utilizing color, light, textures, music and design, in the form of collaborative and integrated compositions by a wide range of artists from around the world. From hand-made illustrations to large scale murals to modern digital art; moving image to multimedia convergence, art will be made without the limitations or restrictions of traditional format and will rely heavily on the magic of live improvisation. During this constantly evolving and mutating exhibition, the creative process are to be witnessed as an ongoing work in progress rife with experimentation, challenging traditional and contemporary techniques and the bending of modern technology. 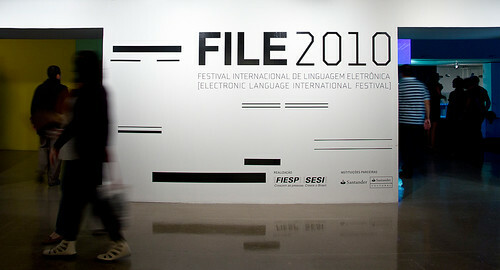 27-06-'10 – Glitch Studies Manifesto in File Festival, SESI' Cultural Centre, São Paulo, Brasil. In the Media Art show, which centers around the question of how to "soften" the rigidity of technological functionalities and to create an environment of creativity and artistic thinking. Playlist demonstrates how ubiquitous technologies are no more in the hands of the engineers and corporate guys who produced them. Once released on the market, they start their own life liberated from their creators and industrial producers, a life defined by how we decide to freely use and mis-use them. 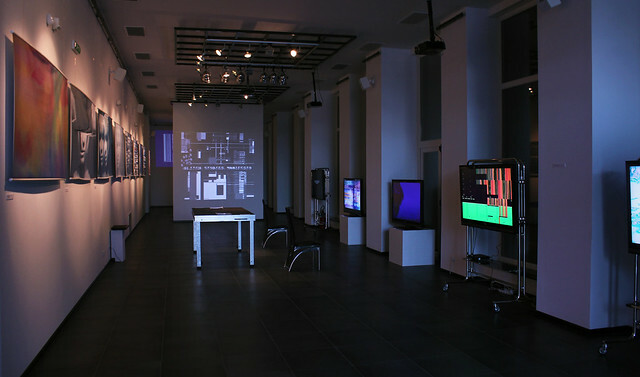 Playlist gives us a sample of the way musical and visual artists asserted this freedom by taking the time to reinvent the specificites of the computer medium (code, computation generation, machine glitches,...) pushing obsolete game and computing technologies into new directions, far away from expected usages and established aesthetics, far away also from the pressure to consume the next generations of digital products launched on the market. Playlist highlights also the continuum of researches and practices based on reinvention, recycling and repurposing, active not only in mainstream cultures (game, hackers and demoscene, 8-bit and chiptune music) but also in contemporary media arts. This reinvention process is often one of the first steps that leads to innovation and renewal, a collaborative and open process shared by open communities and indivuals with rich, mixed and hybrid profiles. Produced by the Public Media Institute, a non profit 501(c)(3) arts organization, Version is an annual springtime arts festival that brings together hundreds of artists, musicians, and educators from around the world to present some of the most challenging ideas and progressive art initiatives of our day. The eleven day festival showcases emerging trends in art, technology and music. Version festival presents a diverse program of activities featuring an exposition/art fair called the NFO XPO, visiting exhibitions, A temporary shelter project, public interventions, video screenings, interactive technologies, performances, live art, presentations, talks, workshops, art rendezvous and action. Much of Version>10 Territories and Infrastructures was programmed via a call for submissions. Other projects and programs were selected and curated by the Version 10 organizers. 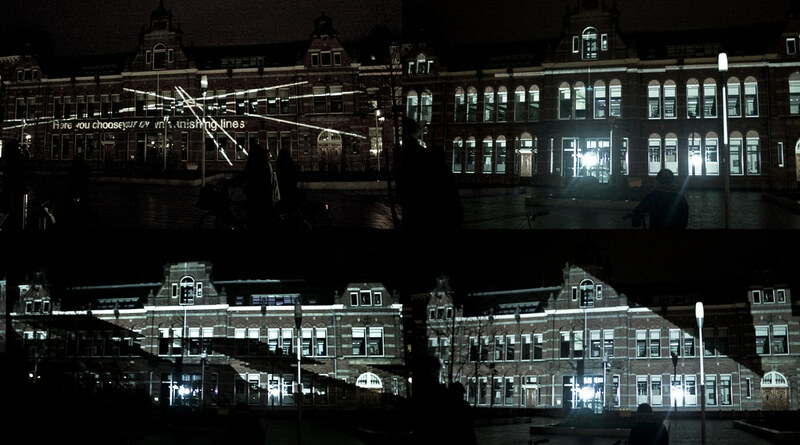 The Media City is a specialized project development workshop for urban projections in Amsterdam. From March 22 to April 2, eight top international artists from S. Paulo, Lima, Durban, Douala and the Netherlands will be given the opportunity to explore the possibilities of visual programming interfaces for urban facades and develop their own site-specific concept. In Processes, Videospace, Budapest, Hu. Although the genre of animation is used for a varety of purposes, the present exhibition showcases works that reflect a specifically artistic approach. The six artists presented here work with various media: animation is only one of the tools they use as a vehicle for their themes. Individual artistic strategies are reflected in these animations, sometimes resulting in solutions that are unusual in this genre. The spectrum ranges from 3D animations to animated drawings, to eletronic noises, vector movements, to animated photos. (with Alexander Galloway, Erik Borra, Laura van der Vlies, and Michael Stephenson), alternative browsing, exhibition accompanying A Topological Approach to Cultural Dynamics, Arts Santa Monica, Barcelona, Spain. Once upon a time there was the electronic frontier, an abandonware myth which was able to regenerate itself thanks to the continuous advance of the frontier itself. Like in space, in technological progress there's no ocean at the end of the trip. But, unlike the space race, the race to the next technology is endless, and endlessness is boring. Glitch art is aetheticized and fetishized technological [human] errors or anticipated accidents that can produce unintended [desired] results. It functions as a microcosm for new media art, forgrounding a critical relationship to the digital culture in which we find ourselves mired. This program initiates a conversation between glitch artists from all over the world with common concerns. These artists demonstrate the diversity of ways in which glitch can be used to address pertinent issues within digital culture, and in culture at large. The artists in this program take the otherwise irritable and undesirable erroneous occurrences and malfunctions and embrace them as form. In their practice, as well as in many of their writings and research, errors and bugs are reshaped at times into elegant painterly digitalism, at others into a poetic and essayistic discourse, and often into spastic abrasive assaults of visual/audible noise. These works critically address issues of time, deconstruction, memory, and chance with regards to society’s relationship with technology. They attack the media systems that have been assimilated by popular culture and subvert the slick, sterile, and seemingly perfect surface of technologies propagated by special interests. (with Alexander Galloway, Erik Borra, Laura van der Vlies, and Michael Stephenson), alternative browsing, Society of the Query Conference, Amsterdam. (with Alexander Galloway, Erik Borra, Laura van der Vlies, and Michael Stephenson), alternative browsing, Impakt festival 09, Utrecht. TERRITORIOS DIGITALES 2009, Sevilla, Spain. Lev Festival 2009, Gijon, Spain. 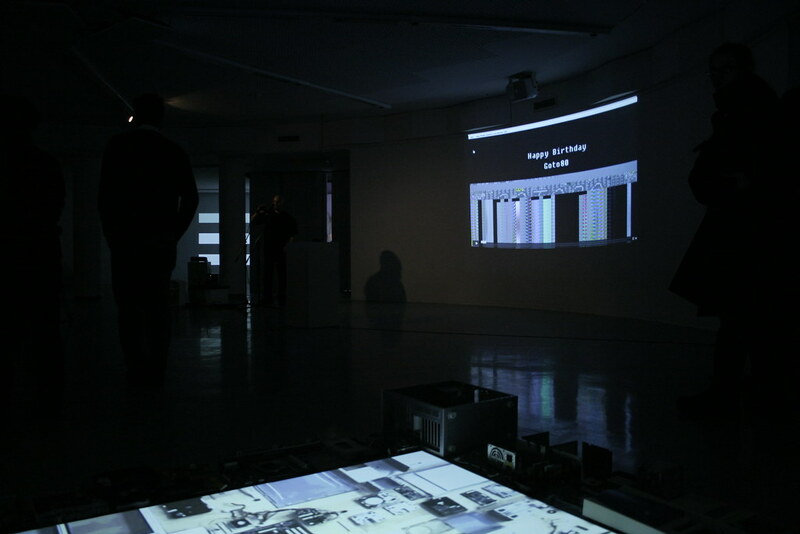 INTERMERZ is an ongoing curatorial experiment, reconsidering exhibition formats for single screen based video. It is a traveling exhibition with a highly variable form, always adapting itself to its hosting environment. Its behavior is inspired by the 'pop-up', looking for empty spots within a predefined frame (festival, museum, party, public space,...). But its aim is not to merge. Essentially grounded in relational aesthetics, INTERMERZ can never be isolated. There is no possibility for a solo-show. The 'exhibition' always needs a host as setting, to which it can and will contrast through its ever mutating form and content. Glitch Night @ UCF Cinematheque. Florida, US. Haip Festival 2008, Ljubljana Slovenia. 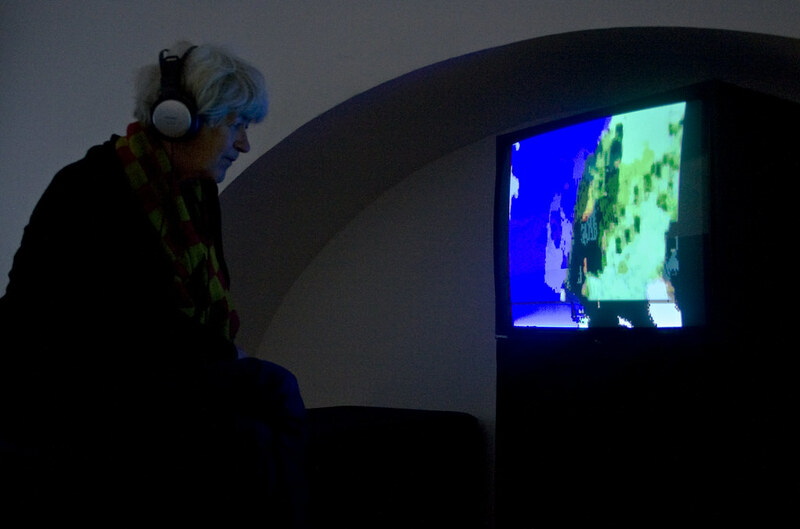 November 2008 The HAIP Festival puts on display multimedia art forms resulting from creative use of open technologies and the freedom of artistic expressions in open-source media. It presents works of the young, promising artists and creative engineers on international level, who specialize in top-notch, open-standards-supported arts and multimedia art practices. The festival features individuals and groups with a critical approach towards the technologies that surround us and shape our everyday environment. They generally use open technologies, either as a practical or an ideological decision. Modern practices of technology and creativity often refer to diverse possibilities and choices at the individual’s disposal – everybody is involved in the social progress and development. And if we take a moment to reflect on what we eat, how we communicate, who dictates how we connect, interact, protest and participate, we quickly realize that it’s our turn. That is what also “HAIP” acronim stands for: “Hack-Act-Interact-Progress“. The main line of presentation will focus on new art of free digital media - and the new media content that enabled it in the first place - while laying special emphasis on technical and legal aspects of new digital media with free access. 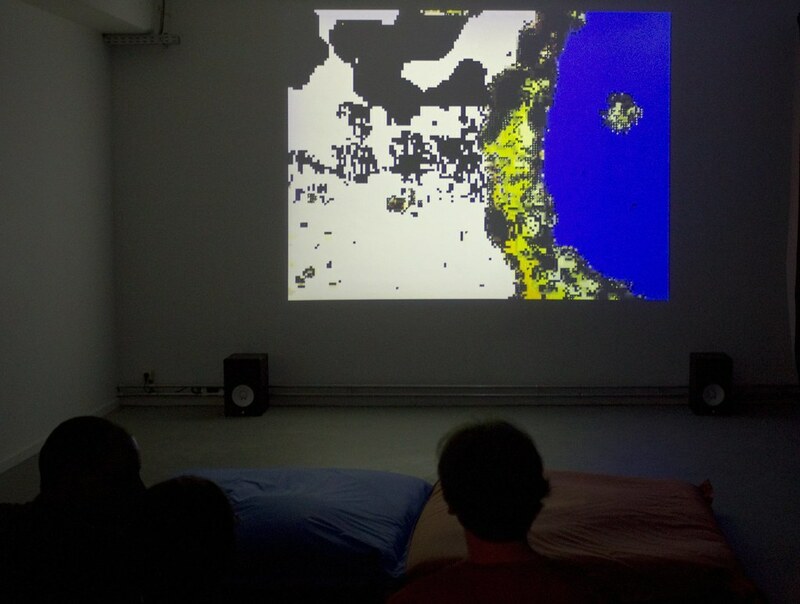 The idea about an open-source art festival emerged inside the multimedia centre Kiberpipa (Cyberpipe) collective, formally exsisting as a project of Zavod K6/4. As a biennial festival the first implementation of HAIP was in 2004 and the second in 2006 and they both received big success in terms of participants and resulting projects and warm reception from the public, also reflecting the fact of lack of related festivals. With festival opening topics of contemporary everyday social life we reach to the core of problematics in the field of new information technologies, media and intermedia art. We invite Slovenian as well as foreign artists and creative engineers to join our festival platform. A lot of participating artists also recieved prestigious international awards. HAFF (Holland Animation Film Festival), Utrecht, Netherlands. October 2006 Animatie gemaakt voor de Machinima Competition 2006 van het HAFF (Holland Animation Film Festival), Mediamatic & Virma.Rosa Menkman, Ruben Zijlstra, Simon Wald-Lasowski Al Gore has a new challenge: saving the world. The former future president of the United States of America travels around the world to personally promote his film, An Inconvenient Truth, that is about the dangers of global warming. Global Warminima is a Machinima interpretation of the trailer of An Inconvenient Truth. With Global Warminima we explored (and tried to shift) the boundaries of Machinima. Some people might say that this movie is not Machinima, because some of the shots are not made within a real-time 3d, but in a 2d virtual environment. We would like to state though, that our movie can be defined as Machinima. To us, the importance of the word Machinima lies within the use of game-technology, not just real-time 3d virtual environments. Machinima Movie entered for Machinima Competition 2006: Create a Machinima film in less then 7 days. *Organized by Holland Animation Film Festival, Mediamatic and Virma* "Your Machinima must be an interesting reaction to a news event of international, national or local importance that happened no earlier than September 2006 and must clearly refer to it." 26 January - 5 February 2006 on channels 1, 2 and 3. Welcome to micromusic teletext television ! ! Microtel is WAS BROADCASTING on Nederlands 1, 2 & 3 NOS Teletext pages 450 - 455!!! This new channel is was called Microtel. The station managers are were artists Emma Davidson [Lektrogirl] and Paul B. Davis from Lektrolab. Microtel teletext programs will be were broadcast by NOS, Netherlands public television. Microtel is was one of the projects curated by ambientTV.net as part of VBI [voluptuously blinking eye] - a submission for the exhibition "Satellite of Love" . This project is was presented by the 35th International Film Festival Rotterdam in association with Witte de With Center for Contemporary Art and the TENT Centre for Visual Arts. The station runs from 26 January to 05 February 2006, but a DVD simulation will run in the gallery until the exhibition close on 26 March 2006. Up until 04 February 2006, you will be were able to create teletext and email it to Microtel for inclusion on this website, a DVD to be distributed by SCEEN magazine and most importantly broadcast on Netherlands TV station NOS. Check technical information for software downloads and FAQ's to contribute today! During 26 January to 05 February 2006, you will be were able to visit the VBI Lounge and learn how to create teletext content. Until 26 march 2006 you can view the DVD simulation of Microtel instead. Check workshops for the schedule and see what other activities will be were taking place in the VBI Lounge. Check contact us to find your way to the VBI Lounge in Rotterdam.